Looking for a new challenge now that you've retired from the corporate world? Why not start your own business? Many retirees who've been employees all of their lives get excited at the thought of running the show, and building a business that reflects their interests and values. If you're thinking of launching a business during your retirement, here are six ideas to get you started. Many new business ideas well-suited for retirees harness the power of the internet, as long as you don't let technology intimidate you. One simple new business option involves researching and compiling information on websites. "One of my favorite types of online businesses for the 'post-50 group' is curation sites, " said Eschenbach. As people get older, the time invested in activities (such as a new business venture) becomes very important, said Eschenbach. She is a big fan of the idea of retirees learning to use technology because of the time saved by automated programs, but she stresses the importance of choosing a business you enjoy. "The key to a great retirement is doing what you love and finding a way to monetize it quickly, " said Eschenbach. Retirees considering starting businesses should start by thinking about two areas: skills from their previous jobs and life lessons. 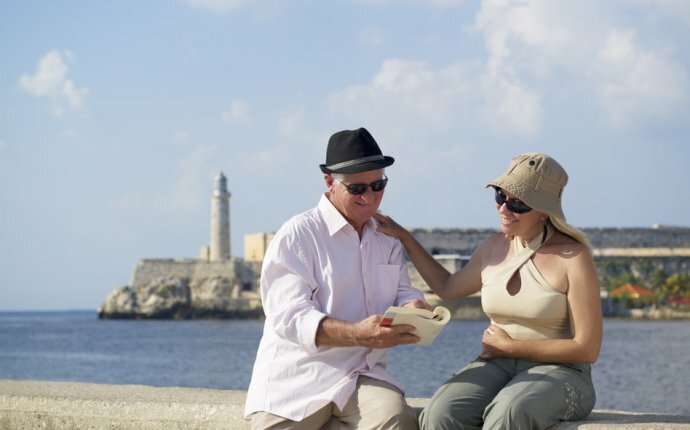 These experiences make retirees well-positioned to share their knowledge. "Since they have a lot of life and career experience, a consulting and coaching business suits them well as a new endeavor, " said Dolly Garlo, business coach and president of Thrive!! Inc. By capitalizing on existing knowledge, retirees can spend their time learning the ropes of running a new business. "Retirees should focus on jobs and business opportunities that leverage the individual's years of work and life experience, such as consulting, teaching or tutoring, " said Jamie Hopkins, Esq., assistant professor of taxation in the Retirement Income Program at The American College in Bryn Mawr, Pennsylvania, and associate director of the New York Life Center for Retirement Income. Instead of sharing knowledge through a face-to-face business, retirees may prefer to teach or coach through a freelance writing business. "Writing and blogging can be a way for the retiree to stay engaged in an online or other community, generate some income and leverage their knowledge, " said Hopkins. As you brainstorm new business ideas, Garlo suggests asking a few key questions. "How much time do you want to spend working? What kind of flexibility do you require? Do you want to work from a fixed location or be able to work virtually? What subject matter in particular excites you?" Garlo says it's also important to consider your potential business customers, and if they can afford to pay you. "This will determine whether what you provide becomes a hobby or charitable endeavor, or is an actual business, " she said. Have you left a successful career after establishing a large network of valuable and experienced business contacts? If so, the main ingredients of your new business idea may be as close as your address book. "[Retirees] have learned lessons that many business owners won't learn for another 10 to 20 years, " said Tobe Brockner, author of "Mastermind Group Blueprint: How to Start, Run and Profit from Mastermind Groups" (Aloha Group Publishing, 2013). "This is why starting a mastermind group is a natural fit for retirees." Members of mastermind groups meet regularly to collaborate and solve the problems or issues of their members, tapping into the collected experience, skills and knowledge of the group. "Many [retirees] already have a network that they can tap into to find excellent mastermind group members, and by being the group organizer and facilitator, they can make a nice supplemental income, " said Brockner. Depending on the size of the area in which they live, Brockner said enterprising retirees can start and facilitate multiple mastermind groups, and charge a premium for the value of being a member. "Mastermind group facilitators can generate between $1, 500 to $3, 000 per month per group for just a few hours [of] work, " he said. Providing services has long been a popular idea for younger, active retirees who want to start their own businesses; however, familiar choices like handyman services, tutoring or pet sitting aren't the only games in town. "Many elderly living on their own need someone to help out with the tasks of daily living: housekeeping, shopping, errands and cooking, " said Collamer. "They also hire people to help out with special projects such as relocating, medical claims assistance and bill paying." As the total number of entrepreneurs increases, so does the number of entrepreneurs over the age of 50. Why not start a business catering to them? There is a tremendous opportunity for you to assist new entrepreneurs with building, managing and marketing their businesses, said Collamer. While older entrepreneurs have solid core skills from previous professions, they often fall short on the skills needed to capitalize on their expertise and turn their knowledge and talents into a profitable business. "So think about how you can apply your skills in a small business environment, " suggested Collamer. "Are you a talented graphic designer? You might be able to design logos, brochures or menus for a new restaurant in town. Do you have strong financial skills? Perhaps you could work as a small business coach or a bookkeeper." Few business people have the time and know-how needed to handle all the tasks required to keep a business profitable, Collamer said. And filling this need suits aspiring business owners who are also retirees. "Most small business people can't afford full-time staff, so this can be a nice way to earn income on a flexible or part-time basis." There are many ways to take advantage of the spreading "active living" philosophy, which is especially popular among Boomers. Who better to help show them the way than a peer with the know-how to stay fit and age gracefully? One of the greatest things about starting a business focused on active living is how creative you can be about what exactly your business looks like. "The spectrum of involvement is pretty wide, " Jonah Bliss, director of community for electric bicycle company EVELO, said. "[It could be] anything from opening up franchises for electric bike stores to being ambassadors for healthy living brands, or running tours and treks to outdoor locations." These types of businesses not only work well as a way to bring in some money after you retire from your career, but they also help others maintain their health as they age. Be creative and use what you know to find your niche in the growing active living marketplace.